Packs of 30ml Double Wall White Plastic Jars are supplied complete with Shives and White Lids. Available in 3 different jar pack sizes together with matching lids to suit your quantity requirements. Quinessence 30ml double wall plastic jars are perfect for storing and protecting your personalised skin care products containing essential oils. Use them also for keeping your creams, gels, or other skin care bases and carriers clean, fresh and safe. Apart from their smooth corners and more stylish appearance than a single walled jar, the main advantage of double walled jars is the extra protection they provide against extremes in temperature. 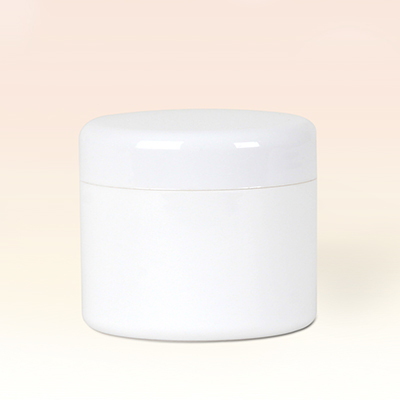 Since double wall plastic jars are considerably lighter than glass ones, they are the also ideal choice when taking personal skin care blends with you on your holiday travels.